Original Finnish gas mask will Protect against airborne virus and bacteria Constructed of heavy-duty, form-fitting rubber. 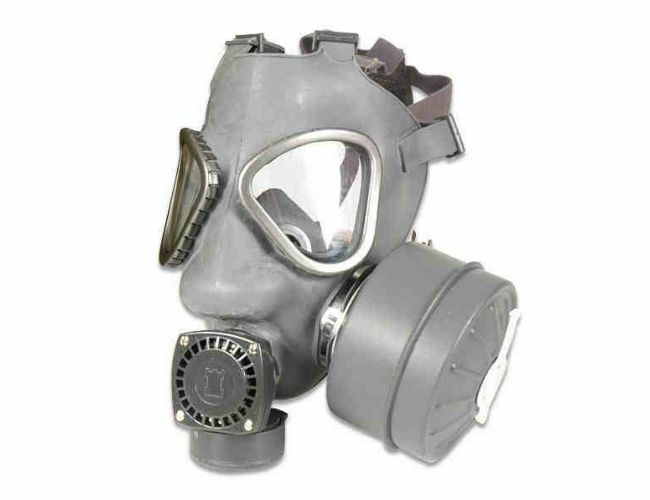 Mask and 60 mm threaded filter, mask is fully adjustable, sized for adults, and safeguards against chemical, nuclear or bio-hazards.Non returnable. Grade I Condition All Military surplus products are used, the condition of the products varies, and the quantities may be limited. Unfortunately, we can not accept back orders or returns on any surplus products.